KUALA LUMPUR: Technical and Vocational Education and Training (TVET) lecturers will need to undergo industrial training after working hours to improve their skills. 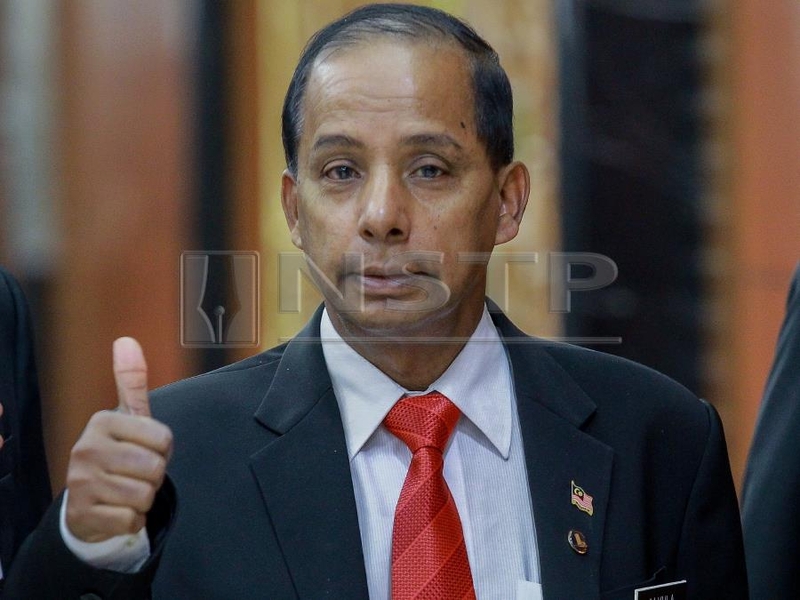 Human Resources Minister M. Kulasegaran said this is part of the ministry’s efforts to boost and ensure that lecturers have the necessary skills to teach in their respective fields. He said at the moment, some lecturers are lacking in terms of hands-on experience and expertise. “I am puzzled that many of our lecturers do not have the specific skills needed and even if they have, many are academically-inclined and are not hands-on. “I and (Human Resources) deputy minister have decided for these lecturers need to enroll for industrial training after their office hours (so they) can obtain the expertise required for them to teach well,” he said. Kulasegaran said this during committee-stage wrapping-up speech on the Supply Bill 2019 for his ministry at the Dewan Rakyat today. He said another issue was the logistical problem, which included the isolated and far-off locations of TVET institutions. “As an example, I visited a technical institute at Padang Serai recently. “The location is far from industrial areas and its (future) direction (future) is unclear. This is making it difficult for our children to study there.” Kulasegaran said. Comment: It may be good idea but devil is in the details. Does this only apply to public TVET institutions or including the private sector? If it is also COMPULSORY for private TVET lecturers/instructors/assessors, who would bear the cost of industrial training? And what if the TVET lecturers/instructors/assessors are already very experienced in the industry, say >10 years (that qualify them to be registered as Pakar Industri Negara) and then absorbed into the institutions? Would they need to go through this as well? And the current process of becoming a certified assessor/skill trainer with a VTO qualification (Pegawai Penilai-PP) is making it hard for those with working experience/currently working as they are required to fulfill a 6 months full time internship – how many can afford to have a 6 months leave & not having income during that period? Worse, some employers don’t allow them, means they have to quit their current job & yet unsure of future job prospect?? Hope Jabatan Pembangunan Kemahiran (JPK) can really look into this matter.